In case you haven't heard, blogger Robert Alai has become one of the newest celebrity papas in town. And since the arrival of his baby last week, the controversial blogger has been an elated man. 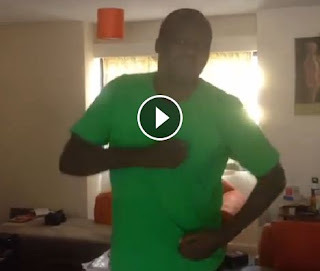 Rarely do we see videos of Alai doing a jig but he hasn't been able to hide his excitement, the proud dad seems to be celebrating the birth of his child in all means. Here is a video he posted on his Facebook page dancing to a song by State Corporations Choir.